We note that studies find the probability of selling something to an existing customer is about 60% to 70%, while doing so to a new prospect ranges from 5% to 20%. In addition, it is about 7x more costly to acquire a new customer than to retain an existing one. Finally, you should know that existing customers are 3x more likely to buy from you than new prospects. 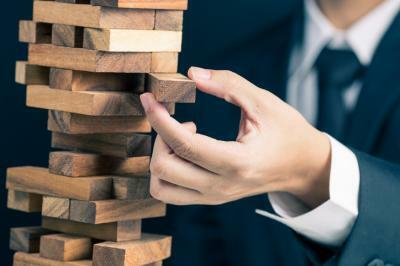 We bring this up to help your sales efforts, while shifting gears today and tomorrow, as we zero in on helping you better manage risk and boost profitability with improvement tips around your asset liability management (ALM). One area of focus is prepayment rates. In ALM models, the idea is to assess the current rate of prepayment and how it can change in different economic and rate environments. Interest rates are a major driver of what loans pay off when. For example, few loans will prepay when they have a fixed rate that is 200bp below the current market. That makes sense and is easy to understand, but economic conditions play a part too. For example, there was a large potential for refinancing home mortgages after rates declined from 2007 to 2010 but that did not happen. That's because while the rate environment may have been conducive to prepayment, the economic environment had depressed real estate prices to the point where many borrowers didn't qualify for a new loan. As can be seen, interest rates matter, but so does the economy so bankers have to model and understand both to get a true picture on opportunity and risk. Next, there are activities on your income statement that are interest rate sensitive, but aren't reflected in net interest income. Take for example a mortgage-banking operation that originates new and refinancing loans. In a low rate environment, refinancing activity surges along with revenue, but the operation required to support that additional activity also increases costs. In the alternative, when rates rise, refinancing activity falls along with revenue. However, the overhead to support the business doesn't decline at the same rate as the revenue does. Banks may be able to quickly reduce labor cost if they are really on this, but other costs such as office leases may not expire for months or years. As can be seen here, the business structure can also have a significant impact when it comes to ALM. For many banks, rising interest rates can be good for the net interest margin (NIM), because you don't have to pass along all of the rate movement to depositors. For banks that have floating rate loans, this can increase NIM as assets reprice faster than deposits. However, while this sounds good in practice, the environment matters a lot. For example, starting in a low-interest-rate environment like we've had can hit debt service on floating rate loans that can negatively impact the borrower's ability to pay and that can overwhelm NIM. Consider that an interest only home equity loan that was originally priced 2Ys ago at Prime - 25bp is at 3%, but if Prime moves up 300bp, that loan's coupon would now be 6%. In this example, the borrower's debt service doubles. In these cases ALM models should incorporate two components to account for this event - higher provision expense and a decrease in performing loans as non-accruals rise. While you are pondering the discussion today, we note that tomorrow we will focus on deposits and the liability side of the balance sheet. In the meantime, we hope you found the first part of this two-part ALM series insightful. See you tomorrow! Yields tumbled 3bp as investors sought safe havens with continued uncertainty over the administration's pro-growth plan after Friday's GOP health care defeat. A Deloitte survey of large banks on CECL finds 80% expect their earnings to become more volatile under the rule. JPMorgan research indicates 70% of the transactions that occurred through tellers in 2016 could have been completed using its mobile app or another self-service channel. The CFPB reports that 8% of people pay 75% of all bank overdraft fees. Research by Accenture finds 79% of consumers say their primary banking relationship is transactional. Fed research finds banks with higher non-maturity deposit accounts might see risks rise in tandem with rate movement. In particular, regulators are concerned that rising rates picked up when overall rates were low could leave banks and transition to other markets or higher-cost deposit products. As such, bankers should be stress testing and contingency planning to ensure adequate understanding of this risk. International Data Corporation research finds US companies plan to spend $1.1T this year on new software, networks, services and hardware. An RMA survey of community bankers finds 70% of respondents say their bank has a strategic initiative to generate small business loans. Research by Forrester projects that in the 5Y period from 2012 to 2017, the percentage of US adults using PCs to do their online banking vs. those using mobile will decline from 3.0X more to 1.6x more.